Our services include facility management, maintenance, life guarding, swim coaches, swim lessons, chemicals, supplies, consulting event organization. M. P. M. Recreation & Management is a full-service commercial swimming pool management and recreation event organization company. 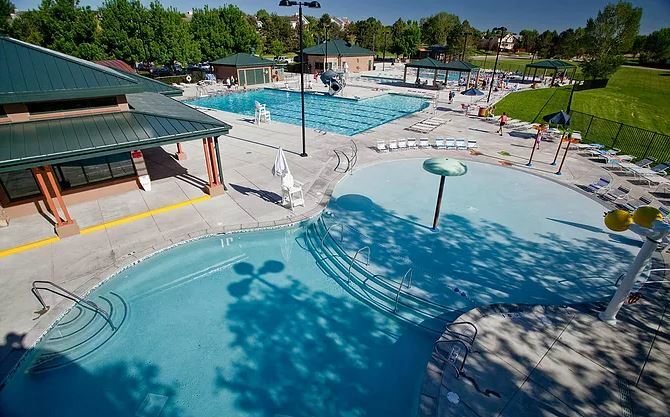 Our clientele consists of Homeowner Association and Metro District swimming pool facilities, property management companies which service associations, and community developers in the Southern Denver - Metro area. M.P.M prides ourselfs on safety, customer service and cleanliness. We want to establish long term relationships with all of our facilities and members. M. P. M. is the last pool company you will ever need." M. P. M. Recreation offers many different swim lesson options. Ranging from group, semi-private, and private. Lessons are available from ages 6 months to the adult who wants a little help with stroke technique. Whether you are looking for your 2 year old to get use to the water or you need stroke refinement of your butterfly, we have a lesson for you. Group lessons are mainly for ages 4-12. If you are older or younger it is recommended to sign-up for private or semi-private lessons. Click on your pool and check out the times and dates of the group lessons. For privates or semi-privates (2-3 people) call or stop by your pools main office. M. P. M. uses the Aqua Kickz curriculum to help all students grow and be safe in the water. The ultimate goal of lessons is to give people the skills to be safe and enjoy swimming for a lifetime. Click on Swimming Lessons for more information.